Deborah Knight of Otsego passed away Sunday, November 23, 2014 in Kalamazoo. 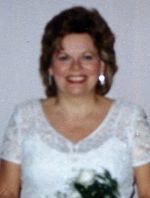 Deb was born July 25, 1955 in Allegan to Earl and Frances (Otten) Blanchard and was a lifelong resident of the area. For 22 years Deb was employed with MCTI as accounts payable supervisor. In her leisure time she enjoyed bowling, reading, casinos, playing cards, bingo and haunted houses on Halloween. Deb loved planning the annual Knight family treasure hunt. On January 7, 1972 in Otsego she married Bruce Knight, who survives. Also surviving are her children, Jeff (Kim) Knight and Jody (Jim Leonard) Sebright, both of Otsego; six grandchildren, Taylor, Sam, Kyllee, Courtney, Bailey and Hannah; her brother, Allan (Linda) Blanchard of Otsego; several nieces and nephews. 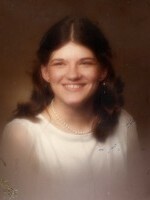 Preceding her in death were her father in 1975, her mother in 2011 and her sister, Shirley, in 2009. Friends may visit with Deb’s family Tuesday, November 25, 2014 from 2 to 4 and 6 to 8 P.M. at the Winkel Funeral Home, Otsego and from 12 Noon to 1 P.M. Wednesday, November 26, 2014 at the United Methodist Church of Otsego where a funeral service will be held at 1:00 P.M., Pastor Joe Shaler officiating. Burial will follow at Mountain Home Cemetery, Otsego. Contributions in memory of Deb may be made to Cancer Treatment Centers of America at Midwestern Regional Medical Center, 2520 Elisha Avenue, Zion, IL 60099. Kenneth B. ‘Bart’ Servis of Otsego passed away Saturday, November 22, 2014 in Plainwell. Mr. Servis was born February 26, 1934 in Chicago to loving parents. 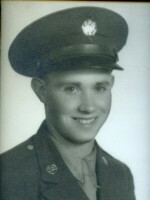 Following his graduation from Otsego High School he joined the U.S. Army and honorably served in the Korean Conflict. Upon his separation from the Army he began working at the MacSimBar Paper Co. where he continued working until his retirement, due to health issues, from RockTenn. He was a member of the Otsego Moose Lodge #345 and a life member of V.F.W. Post #3030. In his leisure time he loved to fish, garden and spend time ourdoors. Bart was preceded in death by his wife, Joyce Servis; his parents; and his siblings. Surviving are his companion of 18 years, Sue Griffith; his step-daughter, Robin Keyzer of Allegan; and his step-grandson, Kevin Keyzer. According to his wishes cremation has taken place and burial of his ashes will be at Mountain Home Cemetery, Otsego. Nancy passed away Thursday, November 20, 2014 at Bronson Hospital in Kalamazoo. She was born June 2, 1947 in Allegan, the daughter of Lavern and Helen (Germain) Lindsey. Nancy was a 1965 Otsego High School graduate. She started working in dietary service at Plainwell Pines Nursing Home and later became a nurse’s aide at Alamo Nursing Home for over 15 years. Nancy enjoyed going to church and having coffee and lunch with her friends. Surviving are her daughter, Kristy (Matt) VanBeek of Plainwell; grandsons, Brennan VanBeek and Hayden VanBeek; sister, Kay Connor of Allegan; sister –in-law, Diana Turner; mother-in-law, Vera Gwilliams; several aunts, uncles, cousins, special friend, Ardis Wright of Allegan and her caretaker, Lou Phelps. Friends may visit with Nancy’s family Sunday, November 23, 2014 from 6 to 8 P.M. at the Winkel Funeral Home, Otsego where a Funeral Service will be held Monday at 11:00 A.M. with Pastor Sean Kidd officiating. Cremation will follow. Barbara Sweet of Alamo Township passed away Sunday, November 16, 2014 in Kalamazoo. Barb was born June 10, 1914 in Kalamazoo to Harry and Cora Belle (Hart) Baird and was raised by her mother and step-father, Sidney Maple. She was a 1932 graduate of Kalamazoo Central High School and was baptized in the First Presbyterian Church of Kalamazoo. 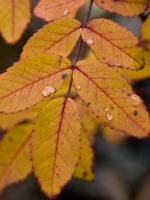 Barb was a devoted homemaker and in her leisure time enjoyed gardening, knitting and exercising, especially walking. She maintained a good sense of humor and always took a personal interest in every person she met. 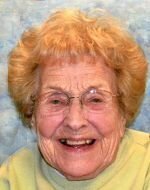 Barb lived independently until age 99 at which time she moved into assisted living at Park Village Pines. She received much love and care from the staff there. Her 100th birthday celebration with family and friends was a very special day for her. It was a happy celebration that she spoke about often. Surviving are her daughter, Sue (Bill) Binning of Kalamazoo; four grandchildren, Brian (Susan) Binning, Jeff (Kate) Binning, Trent (Timberlie) Yanz and Deborah (Loli) Alharthi; eight great-grandchildren; a niece Carol Messner; and several cousins. In 1965 through an exchange program Janke Loenen Brans, from the Netherlands, has been like a daughter, and they have maintained a close contact since. Barb was preceded in death by her husband of 60 years, Robert Sweet in 2001; her daughter, Joan Marie Yanz in 1987; and her sister, Charlotte Hoft. Cremation has taken place and a private graveside service at Alamo Center Cemetery will be held on Tuesday, November 25, 2014, at 11:00 A.M., Chaplain Esther Sapp officiating. Contributions in memory of Barb may be made to the Kalamazoo Area Christian Retirement Association, Inc. (Park Village Pines Resident Fund) or the Kalamazoo Humane Society. Larry passed away Saturday, November 8, 2014 in Grand Rapids. Larry was born October 27, 1957 to Lester and Barbara (Giddings) Woodward. He worked for Reynolds Metals as a tool & die maker; he loved playing and watching basketball with his son; he also had a passion for Harley Davidson motorcycles and the Detroit Lions. Larry was a member of Madison Square Church in Grand Rapids and was known for his big heart. Surviving are his son Brandon (Holli McNulty) Woodward of Grand Rapids; a granddaughter, Ella Woodward; his mother and step father Barbara (Vahakn) Knarian of Kalamazoo; his siblings, Lorrie Knight, Lyn Woodward, LeAnne Shelton, John Woodward, Tom Woodward, Angela Kotarski and Andrea Boelman; a special friend, Pam Leiter and many nieces, nephews, cousins and extended family members. He was preceded in death by his father and step mother Lester and Mary Woodward and a brother Lonnie Woodward. Friends may meet with Larry’s family Wednesday from Noon to 1:00 P.M. at the Winkel Funeral Home, Otsego where a Funeral Service will be held at 1:00 P.M. Burial will follow. Contributions in memory of Larry may be made to Mel Trotter Ministries. 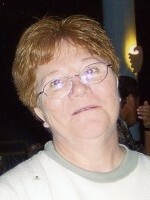 Anita Louise “Weas” Breedveld passed away Friday, October 31, 2014 at her home. She was born May 26, 1952 in Toledo, OH, the daughter of Virgil and Oneda (Vann) Winfrey. She was a graduate of Whitmer High School and then acquired her cosmetology license. For several years she worked as a beautician, then at Barton Survey in Toledo. In the 1980’s, she moved to Michigan and was an accounting manager for 19 years with the Motan Company in Plainwell. Weas loved to cook, play golf, bowl, party, boat, and for over 20 years enjoyed fantasy football. Her favorite teams were Ohio State and the Pittsburgh Steelers. She was a member of the VFW Post #3030 Ladies Auxiliary. On November 29, 1996 in Otsego, she married Judson Breedveld, who survives. Also surviving are her daughter and son by love, Jenny and Mike Gradwell and their children, Meighan, Kyle, Tori and Thomas; three brothers, Lynn (Sharon) Winfrey of Florida, Don (Tina) Winfrey of Maumee, OH and Jeff (Tammy) Winfrey of Swanton, OH; a sister, Cindy Winfrey of Bowling Green, OH; several nieces and nephews. Cremation has taken place. A Memorial Service will be held Saturday, November 8, 2014, at 10:00 A.M. at the Winkel Funeral Home, Otsego, with Celebrant Bill Rose officiating. 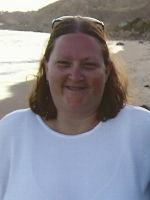 Contributions in memory of Louise may be made to Wings of Hope Hospice or VFW Post# 3030.